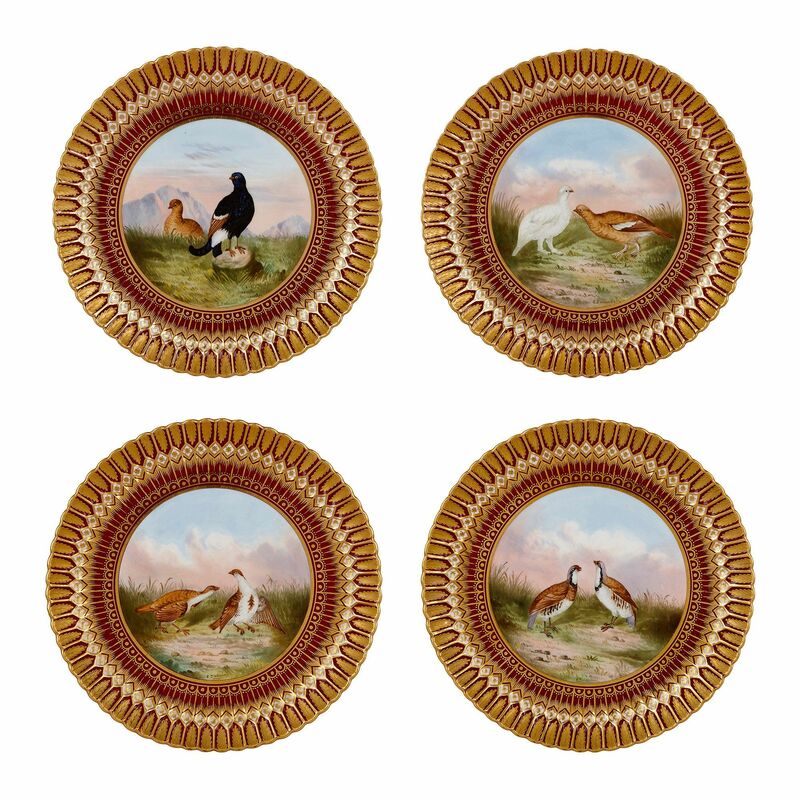 This fantastic set of porcelain plates, one of the many fine works of the English Copeland factory, have been expertly decorated with images of game birds. 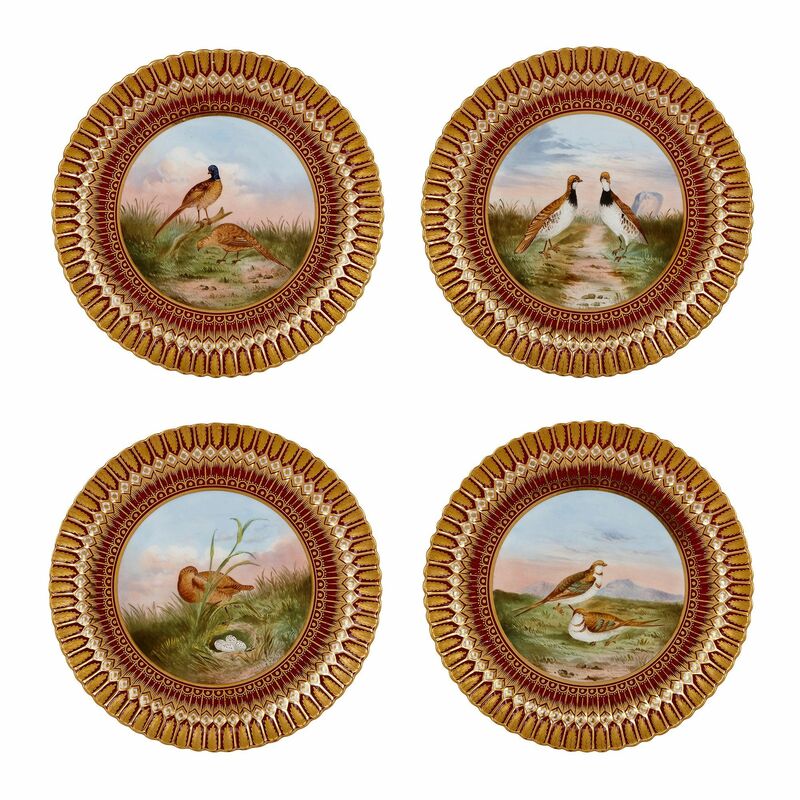 This is a fantastic set of porcelain plates, beautifully decorated and gilded, making them perfect for display as well as for use. They are the work of the Copeland factory (now known as Spode) during its 19th Century heyday when it was, along with Minton and Wedgwood, one of the most important porcelain manufacturers in England. 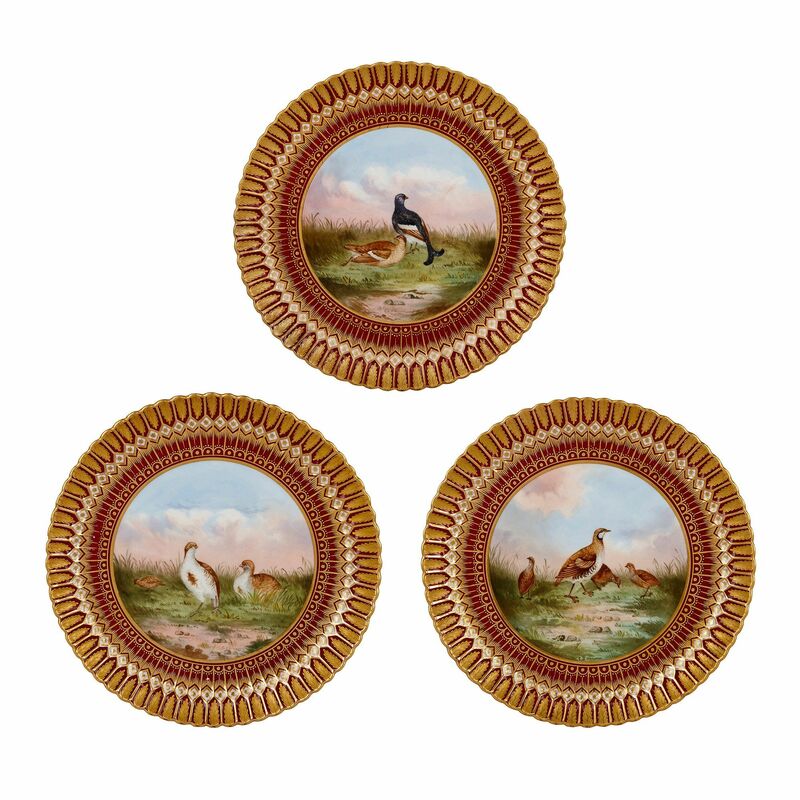 Each plate contains a central depiction of game birds - pheasants and partridges, for example - in a landscape. 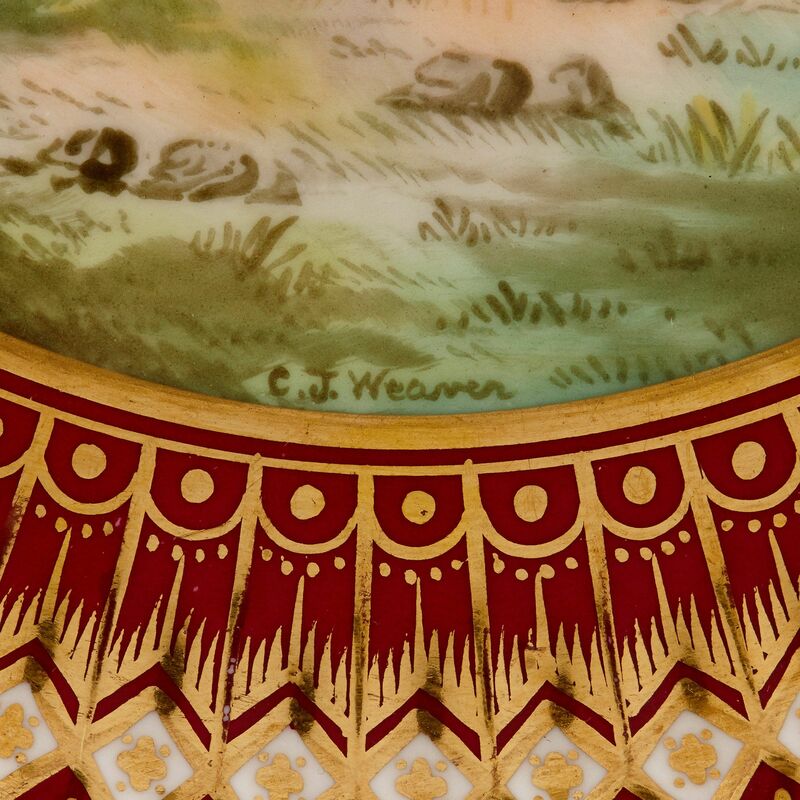 These wonderful, charming painted decorations with exceptional levels of detailing are the work of Charles Weaver, a master painter working at the Copeland factory in the late 19th Century. 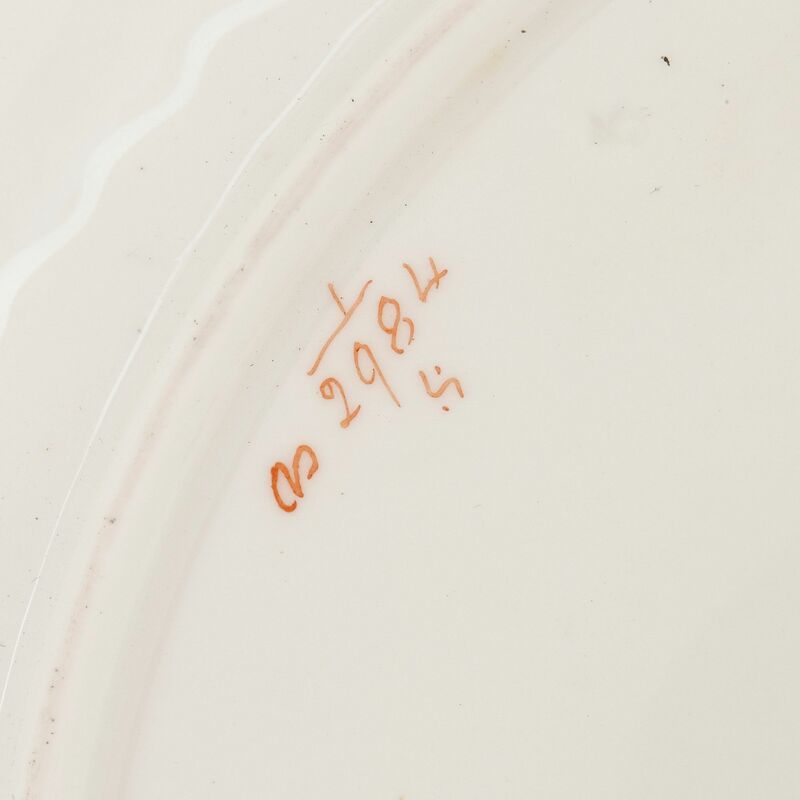 Each plate bears his signature which reads 'C.J. 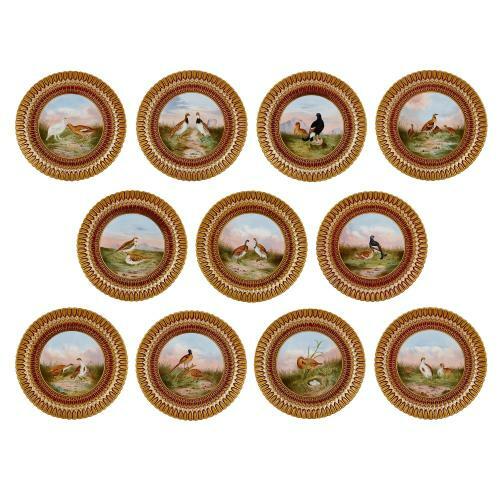 Weaver'. 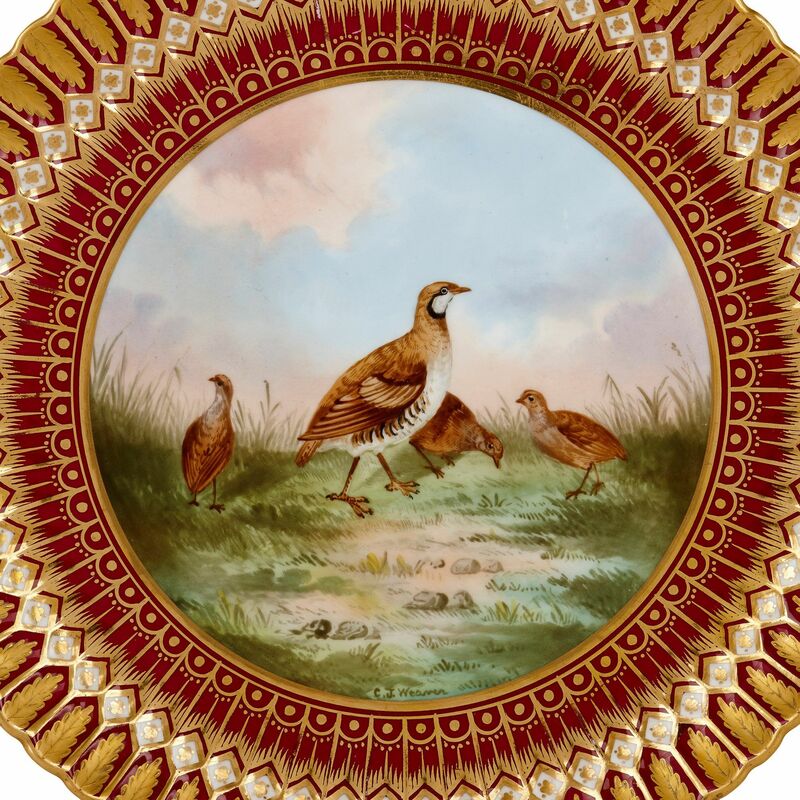 The central cartouche of each plate sits inside a parcel gilt border, with gilt foliate and geometric motifs contrasting beautifully against a red ground. 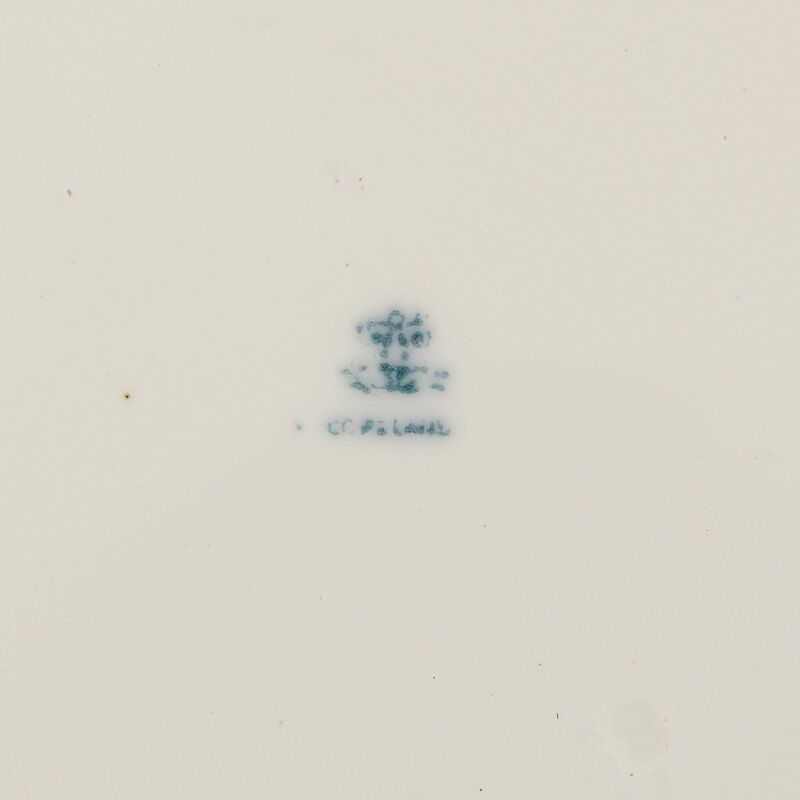 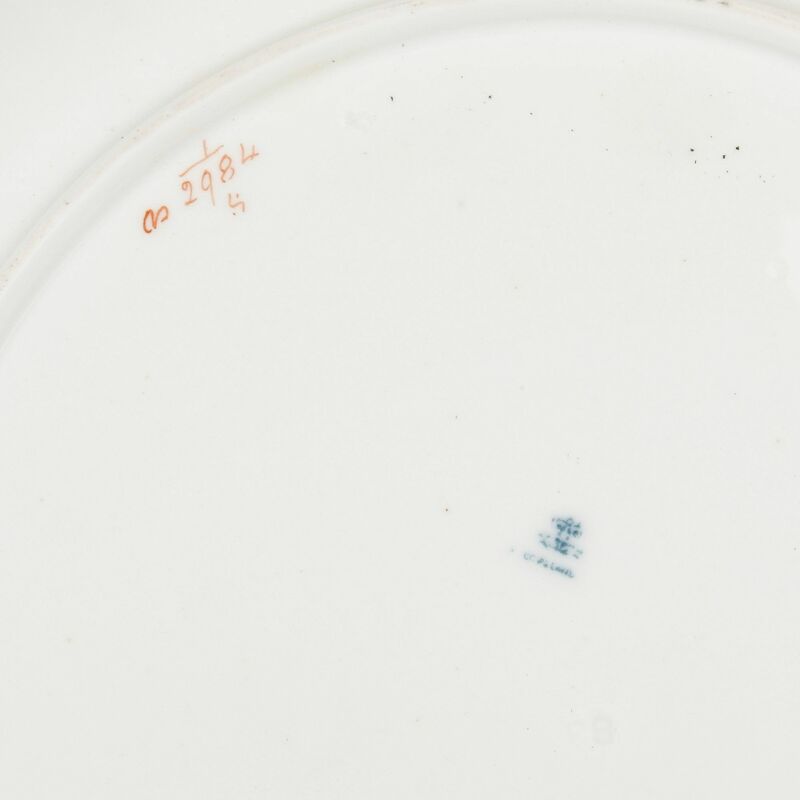 The reverse of each plate bears the factory mark for Copeland, along with various other number and factory marks.